2. excellence or distinction; conspicuous talent, mental ability, etc. This week at work, my friend Kim asked me if I watched Miss Universe. With that, she unknowingly invited me to share my original oratory for why I LOVE pageantry, and in particularly, the Miss Nebraska Organization. 1. INSPIRATION. These women are clear evidence of how beautiful our bodies can be when we exercise, eat right and take care of ourselves. Every single time I feel that fire within myself rekindling to JUST DO IT, looking like that IS POSSIBLE with focus and hard work. 2. RADIANCE. I am a proud, strong, confidant woman. I can be all of those things and still LOVE to dress up and feel like a queen. The gowns, the glitz, and regarding Miss America, the beauty and art behind each talent performed on stage.. I LOVE IT. Being a woman is a beautiful thing; focusing on that beauty and allowing each woman is radiate is spectacular. 3. CONFIRMATION. Evidence of the intelligence, articulation and confidence so many of these women possess in their interviews on stage and off. Women at Miss Nebraska last year were asked questions on issues ranging from prison overcrowding, to education funding, to social media challenges. These are real issues we as a society face, and in front of hundreds (and sometimes, millions of people on live TV), these women address each topic and prove time and time again you can look amazing, and FEEL fantastic, AND be BRILLIANT. And with that… the time has come for Year 4 of There She Is, my annual series profiling each of the Miss Nebraska and Miss Nebraska’s Outstanding Teen contestants. This program is RELEVANT, providing countless opportunities for young women in our state to speak, perform and to raise money for their futures beyond pageantry. Miss Nebraska 2014 Megan Swanson went on to perform the National Anthem for tens of thousands at the College World Series and is currently pursuing a recording career. Miss Nebraska 2016 Aleah Peters has visited dozens of schools crisscrossing Nebraska to speak to children about cyberbullying and what they can do both before and after it happens. 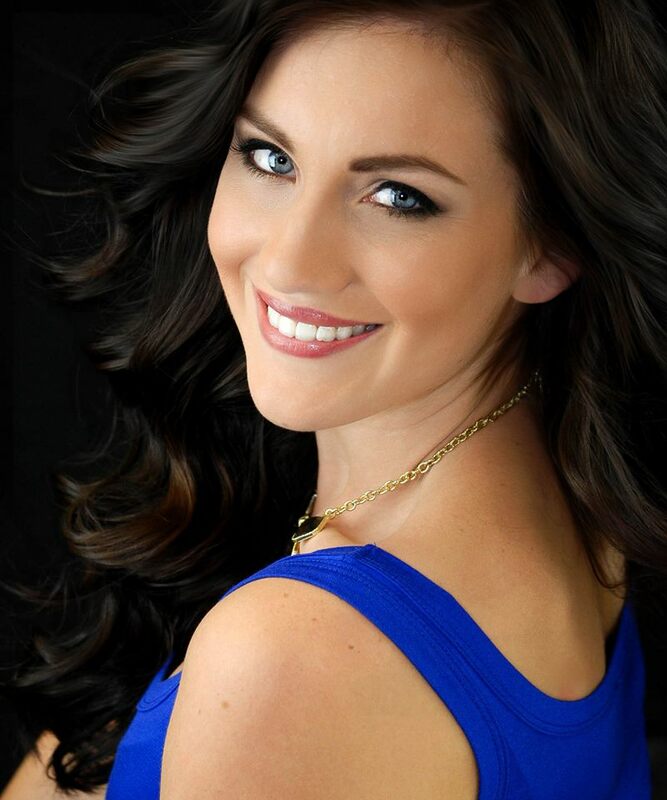 Both she and Miss Nebraska 2015 Alyssa Howell topped $20,000 in cash scholarships during their time competing for Miss Nebraska and then Miss America, money that helped both pay for their college educations. One of the other things I have come to cherish about this program is the camaraderie it creates between the women who compete, and the women who work behind the scenes to make it happen. I look forward to Miss Nebraska events all year long not only for the glitz and glamour, but to be surrounded by women who work everyday to ‘have it all’. Our goals are so similar; to give to our families while serving others, to make sure we are hitting the gym and eating right despite nonstop schedules, to reach the top of our career fields the right way, through hard work, respect and kindness. 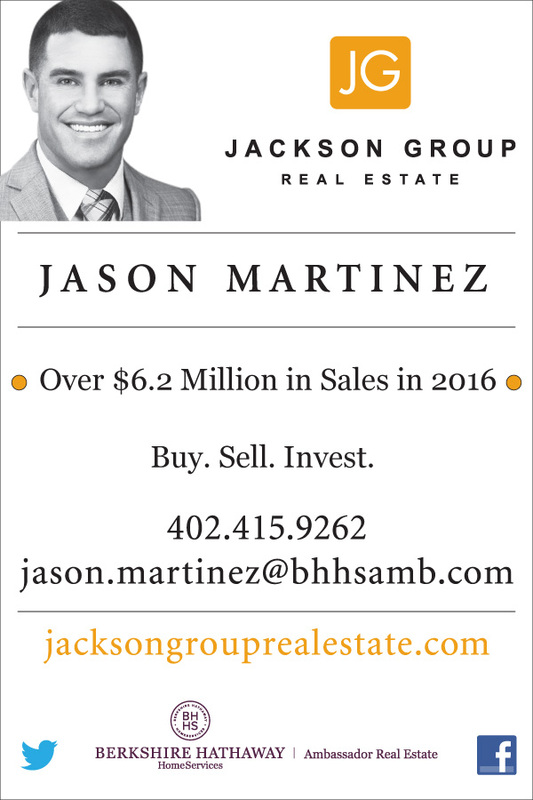 We live in a competitive world, folks; I can’t tell you how many times people seemed surprised when I told them Melissa Fry was one of my dearest friends at KETV and that Julie Cornell was a leader and mentor to all of us. Much like in the pageant world, I think people assume there’s an Anchorman/Miss Congeniality mentality where women are constantly fighting with each other to be the It Girl. 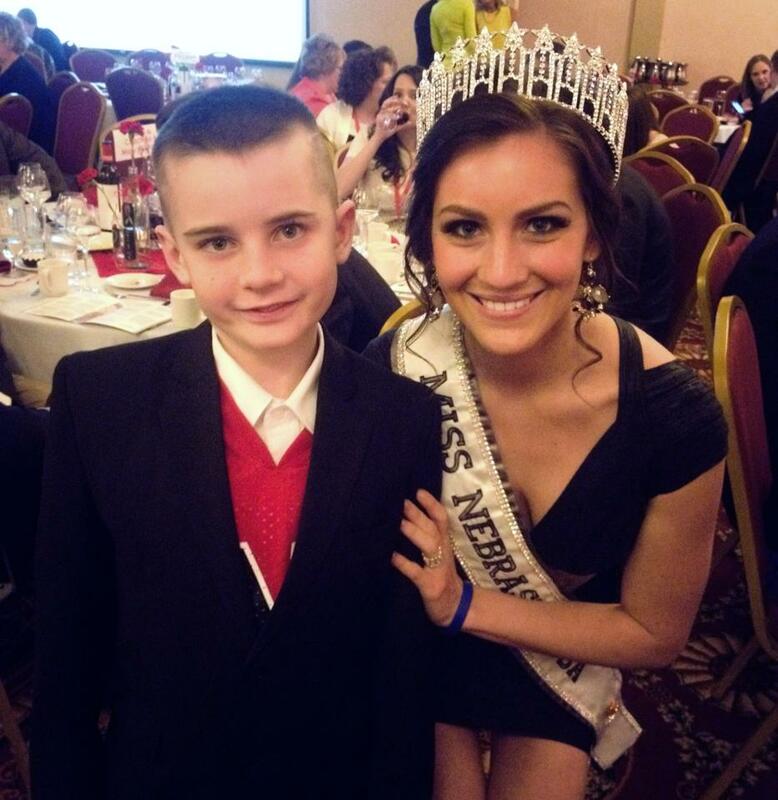 Programs like Miss Nebraska reinforce a culture of unity and support between women. Is it competitive? For sure. But one of our constant goals is to teach women to compete with themselves and not others. To focus on defeating procrastination, weakness, distractions, NOT other women. To be the best THEY can be, and allowing others to inspire, not deflate. Those lessons translate far beyond pageantry in teaching young women how to support each other, creating more positive work environments, support networks and friendships. To better handle challenges and disappointments, to better foster team work and productivity. I daresay these are intangible qualities that every employer in America prizes in their staff. Happy February; the countdown has officially begun. To this weekend’s Crowns and Gowns event in North Platte and to the final weeks and months leading up to the competitions that will determine the next two women to represent Nebraska in this storied organization. If I can’t convince you to become a Pageant Junkie like me (shout out to the talented Carrie Lakey! ), I ask you this.. to please support the women who take part. They are talented. They are beautiful inside and out. They are intelligent and well spoken. ..and NOW you know why my friend asked to meet her. Jaw. Dropping. GORGEOUS. If ever there was a time for me to write a blog using only photos, this would be it. STUNNING: adj. To astonish; astound; amaze: Her beauty stunned the audience. Believe it or not, Amanda seems to be just as beautiful, if not more so, on the INSIDE. The same weekend young women from across the state will compete for the title of Miss Nebraska, Amanda will be competing in Baton Rouge for the title of Miss USA. Today in a special feature, get to know Miss Nebraska USA, and find out why she wants your support representing our state. Alex Hoffman put it best in saying these two organizations are the most prestigious, well known and respected in the pageant world. They are televised, have history on their side, and have thousands of participants nationwide. While many of the same young women compete for both, they are two different systems. The Miss America Organization is a not-for-profit organization; The Miss USA/Miss Universe organization is a joint venture partnership between NBC and Donald Trump. Women who compete for Miss America must be 17-24 years old; women who compete for Miss USA must be between 17-27 years old. Finally, Miss America contestants compete in swimsuit, evening gown, interview and talent; Miss USA contestants do not compete in talent. 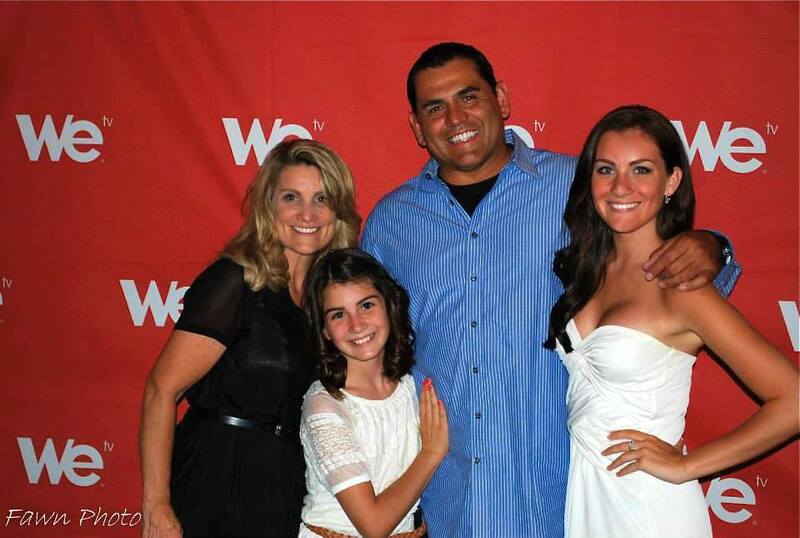 Enough with the facts and figures… meet Amanda! 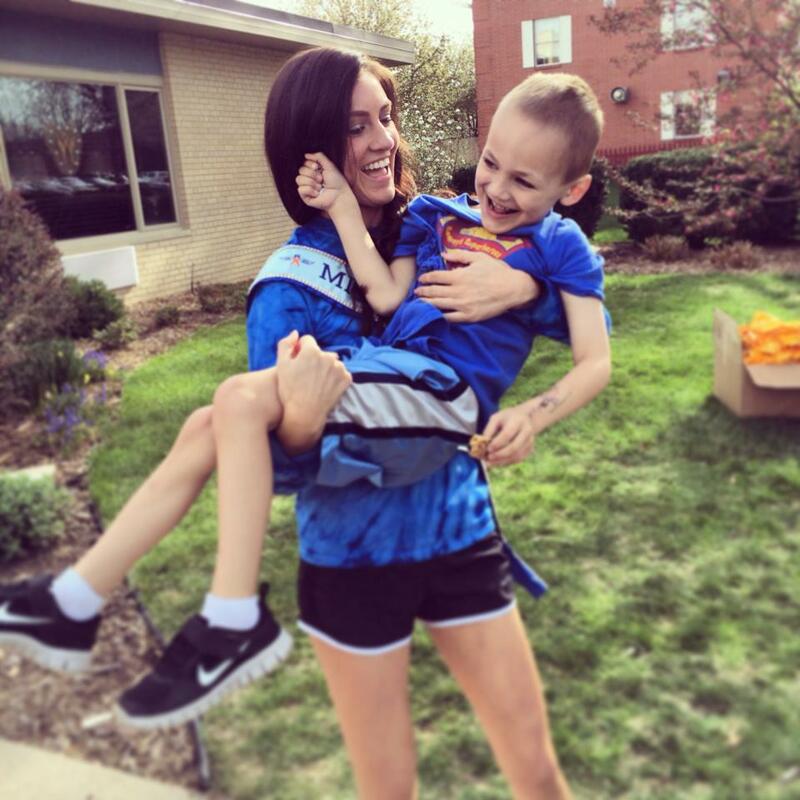 Just as each of the Miss Nebraska contestants have a personal platform of service, Amanda is focusing her year on spreading awareness of childhood cancer. Sammy was diagnosed at 4-years old with Neuroblastoma, cancer that commonly affects the abdomen and adrenal glands and is very difficult to treat. Loved ones formed Sammy’s Superheroes to show their support and raise money for research; more than 10,000 people now support the cause, including Olympic Gold Medalist Curt Tomasevicz. 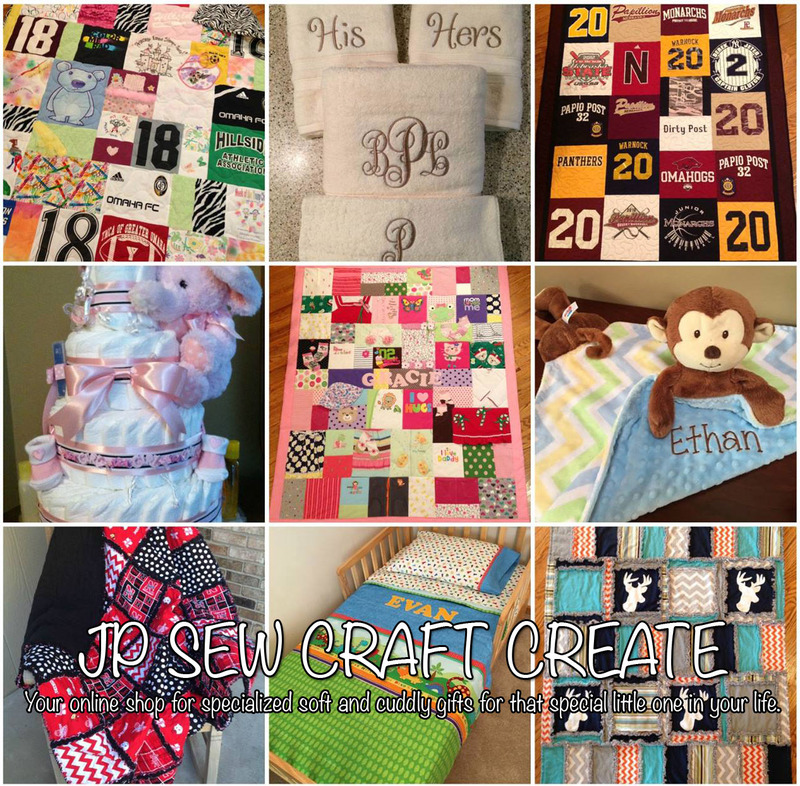 Check out Sammy’s Superheroes online or on Facebook to learn more! Amanda recruiting Miss Arkansas USA, Miss Kansas USA and Miss Oklahoma USA to become Sammy’s Superheroes! Amanda has also offered her support and time to Team Jack, the organization raising money to fight pediatric brain cancer in honor of Jack Hoffman. Jack and his dad, Andy, are good friends to KETV, sharing their story of Jack’s long battle with a brain tumor, his friendship with Nebraska football player Rex Burkhead, and the now legendary Spring Game touchdown run viewed more than 8.4 million times on YouTube. I, too, have had the privilege of sharing Jack’s story, and the fight he represents. Team Jack has now raised more than 1.1 million dollars for pediatric brain cancer research, and has the support of tens of thousands across the country. Click here to watch my story about the ‘Year of Jack’ following the touchdown that touched America. “I know that the more people that hear and see where their money is going, the quicker we can find a cure!” said Amanda. It is THIS, not the fancy photo shoots or glamorous trips around the country, that Amanda enjoys the most about being Miss Nebraska USA. “The appearances I have gotten to do WITH Sammy have had the most impact on me and have been the most meaningful,” said Amanda. While many state titleholders take a year off from school and full time work to focus on service and appearances, Amanda has not; she remains a student at the University of Nebraska-Lincoln and will graduate this weekend with a degree in Broadcasting. 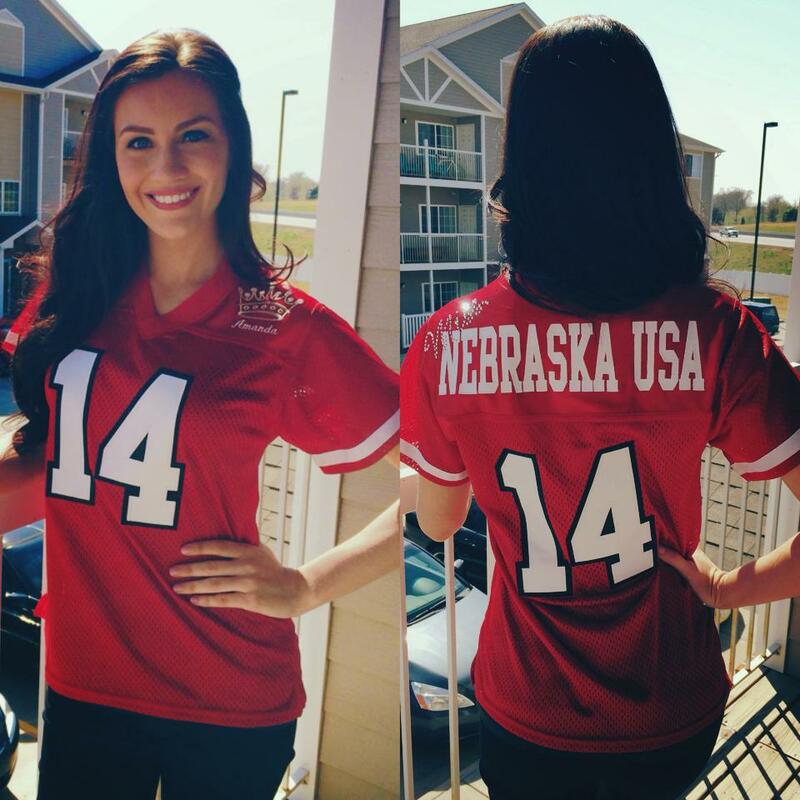 But make no mistake; Amanda says she is ready to represent Nebraska at Miss USA. 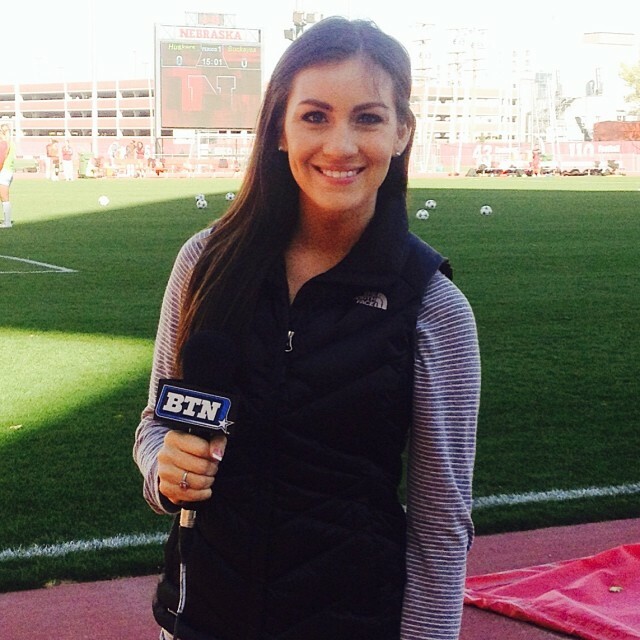 Amanda will fly to Louisiana on May 25th, but she’s hoping to take Nebraska with her. You can watch the Miss USA pageant live on NBC June 8th at 8/7 Central, hopefully cheering loud enough that Amanda will be able to hear you 1,000 miles away. “My hopes for the pageant are to show the world what Nebraskans are made of and to let people know there is more to Nebraska than cornfields and flat land,” said Amanda. And there’s more to Amanda than a pretty face. 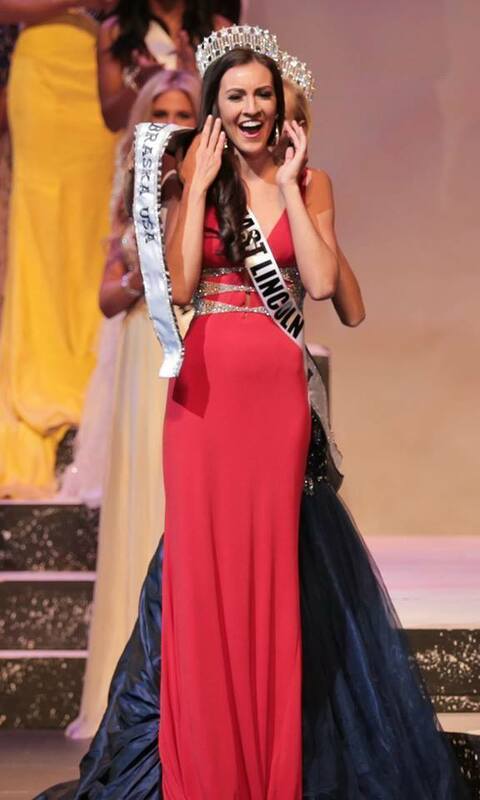 This young woman is reshaping how children, families and Nebraskans think of ‘beauty queens’. Beauty INSIDE and out. GO. BIG. RED. Represent, Miss Nebraska USA! NEXT POST.. Miss Northwest, Alex O’Connor!